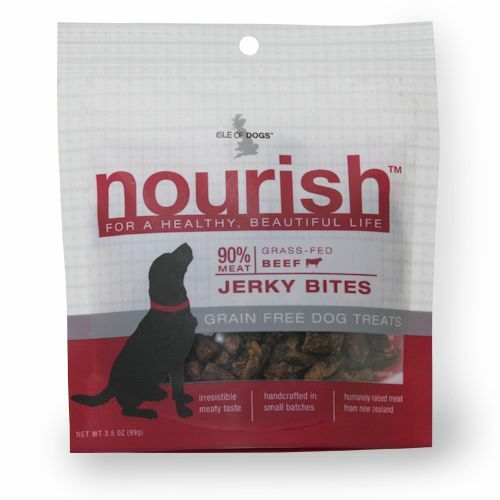 Sourced in New Zealand and made with humanely-raised meats, Nourish Jerky Bites are gently air-dried at low temperatures, in small batches, to naturally preserve the meat without using artificial preservatives. 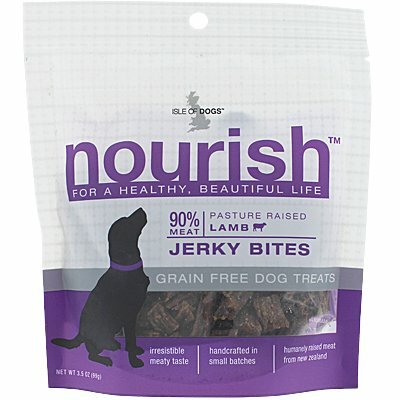 High in protein and truly grain-free, they are made with all-natural ingredients. Perfect as a snack, these savory treats have a taste and texture even the pickiest of pups can’t resist. Ingredients: Lamb, Lamb Lung, Lamb Liver, Vegetable Glycerine, Rosemary, Green Lipped Mussel, Mixed Tocopherols. Ingredients: Beef, Vegetable Glycerine, Garlic Powder, Green Lipped Mussel, Mixed Tocopherols.